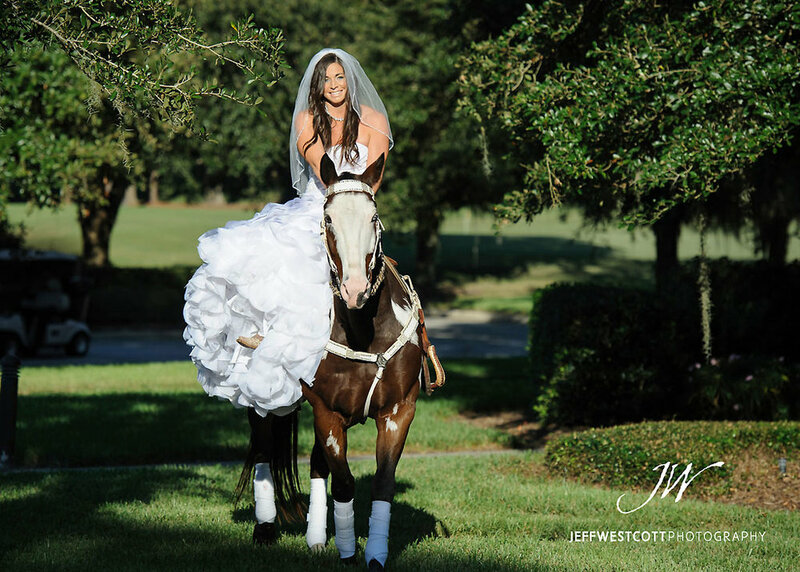 Jessica appeared at the top of a stone stairway and glided downward, then mounted her trusted steed, Rain, who carried her safely down the aisle and delivered her to her prince. 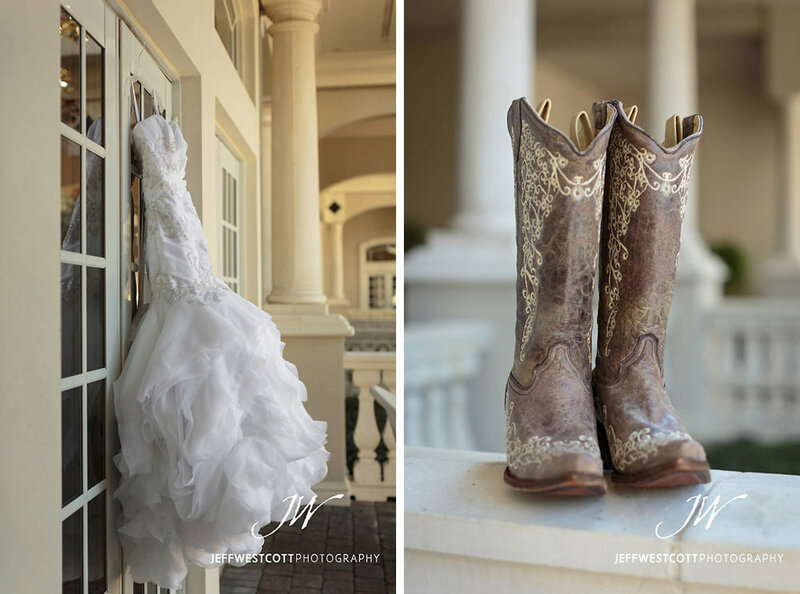 If it sounds like a fairy tale wedding, well, it kind of was. Beautiful day, beautiful venue, beautiful bride. 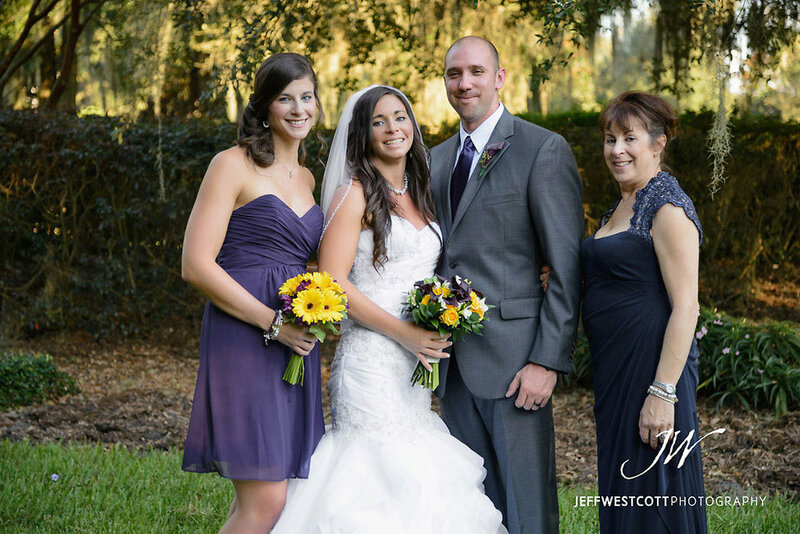 The Golden Ocala Golf and Equestrian Club was a natural choice for Keith and Jessica, who love horses. 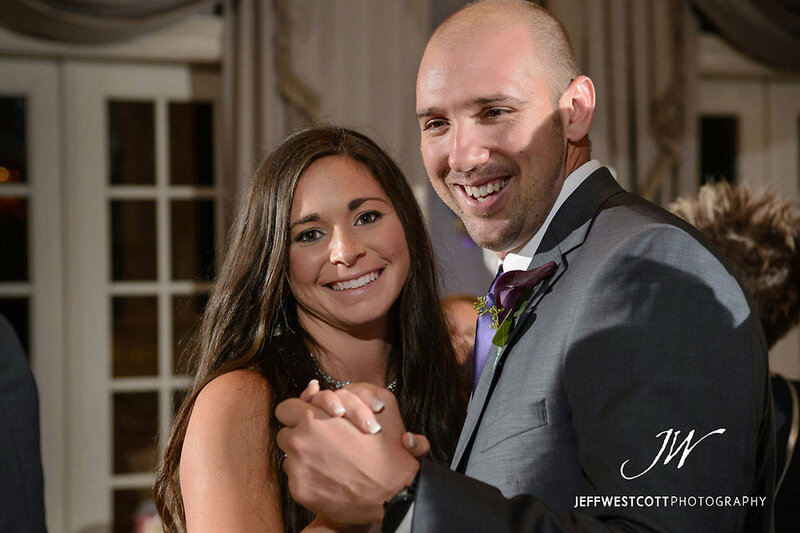 Jessica's a competitive rider, and though she's more comfortable in blue jeans and cowboy boots than a dress, you'd have never known it by looking at her on her wedding day. 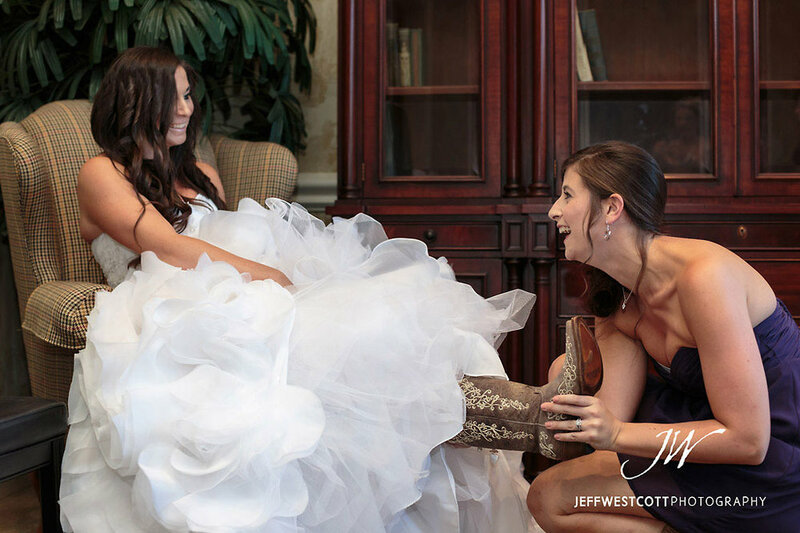 (Unless, that is, you happened to see the boots under her wedding gown.) 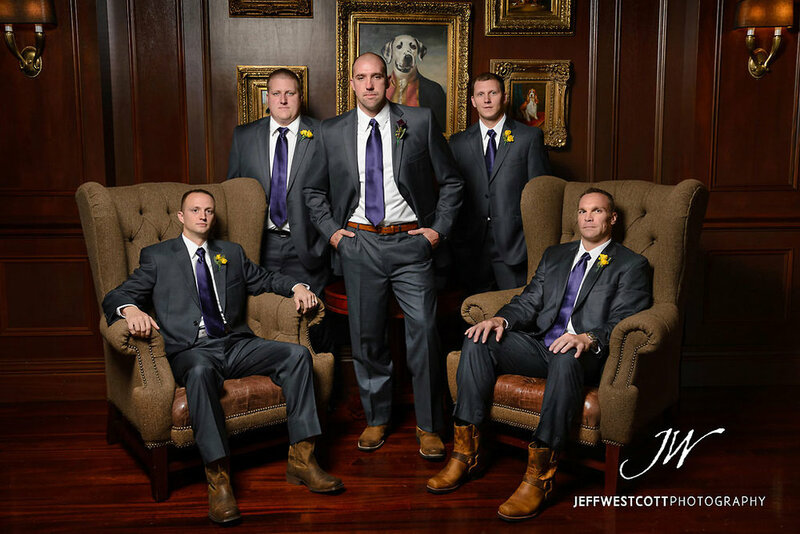 Her bridesmaids and Keith's groomsmen wore boots, too, and the equestrian theme was prevalent throughout the decor. 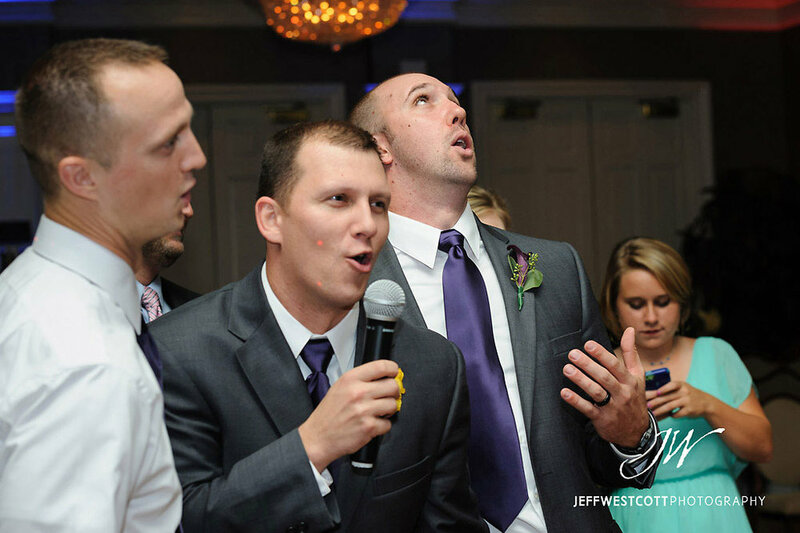 The party continued throughout the night, fueled by the music of Justin at Florida DJs, and ended shortly after the bubble exit of the happy couple. 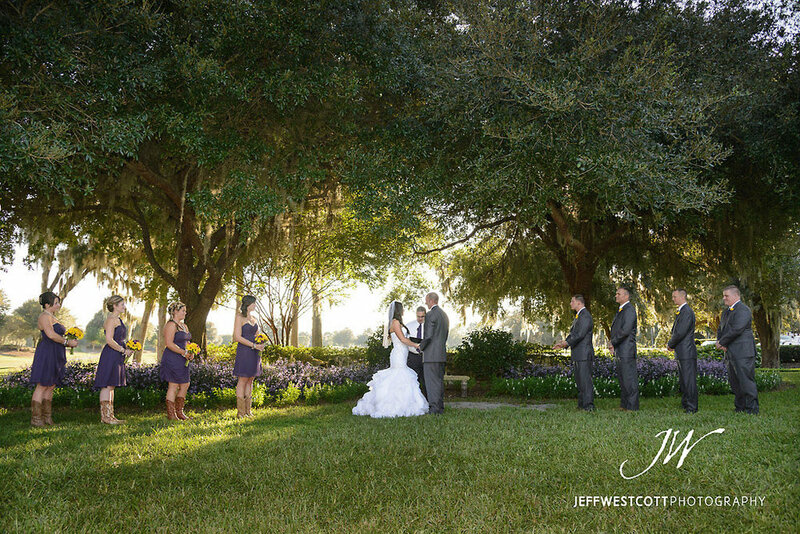 Although I'm a Jacksonville wedding photographer, I'd love to go back to Golden Ocala again sometime. 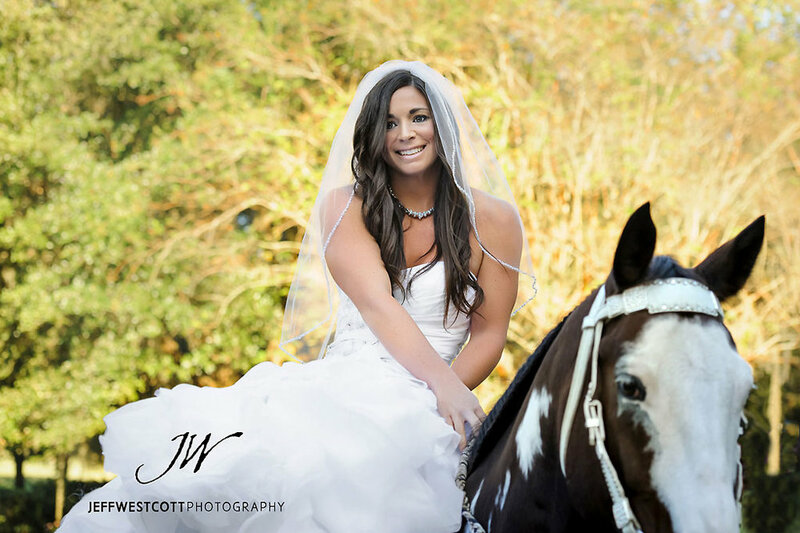 A big thank you goes to Julianne at Golden Ocala, who helped everything flow smoothly and made sure a good time was had by all, and my second shooter, the fabulous Stacy Niewenhuis.